... no problem with this round LED display. 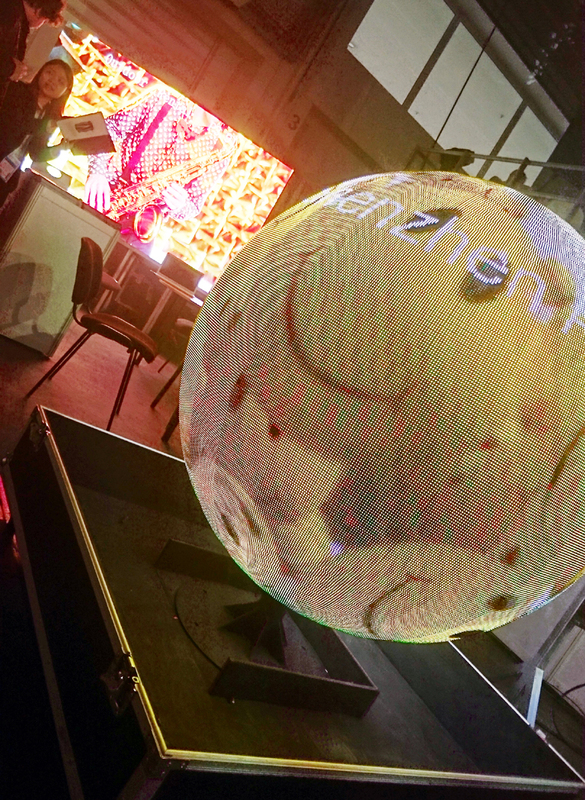 The Sphere LED display can be used inside and outside and has a diameter of up to 16.3 meters. He does not always have to stand on the floor - even hanging or embedded in a complete presentation, he is a real eye-catcher. You can see the smiling LED display in Hall 4.0 at Prolight + Sound.